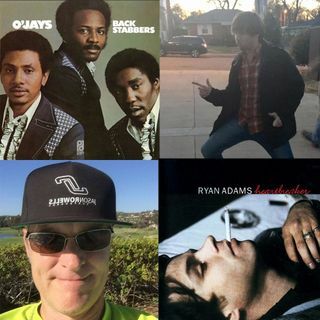 Heartbreakers and Backstabbers are discussed in episode 11 where this week's albums are from Ryan Adams and The O'Jays. Backstabbers was a groundbreaking 70s soul/funk release from the O'Jays defining the Philly Soul sound. The hit single Love Train was a huge success along with several other singles from Backstabbers. Heartbreaker was Ryan Adam's first solo album after the breakup of Whiskeytown. Recording in Nashville with Gillian Welch and David Rawlings the album has ... See More tones of Bob Dylan, Bo Diddley and American Roots music. Heartbreaker would be the first of many albums Adams would release in the early 2000s.